BETHLEHEM (Ma’an) — A fifth or 20% of medical applications submitted in August by patients in the besieged Gaza Strip were denied, by Israel, a permit to leave for medical treatment in East Jerusalem or Israeli hospitals were for cancer patients, according to a monthly report by the World Health Organization (WHO). 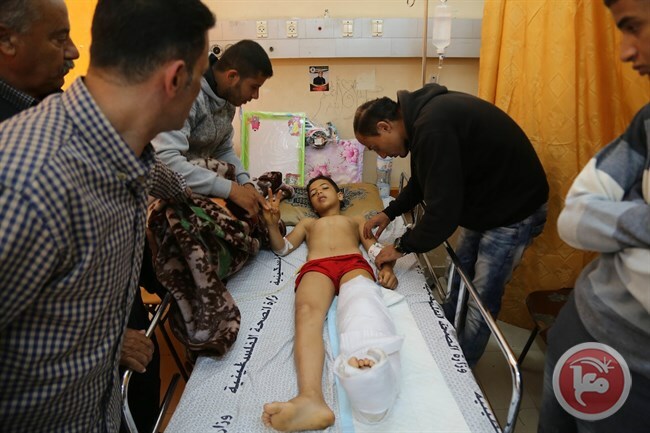 On Thursday, WHO published their monthly report on health access for Palestinians in the occupied territories, showing that 18% of the denied applications were for orthopedics and 14% for neurosurgery patients. Several Palestinian patients have died while waiting for an Israeli permit to get life-saving treatment that is not available in Gaza. The report said that 152 patient applications (98 male; 54 female), or 7% of the total, were denied permission for health care in August to cross the Erez crossing (Beit Hanoun), between Israel and the northern besieged Gaza Strip; those denied included seven children under the age of 18 years and 23 patients aged 60 years or older. The report added that 68% of the permit applications were approved, making up 1,484 (781 male; 703 female) of the 2,173 applications. However, according to the report, the approval rate of permit applications for Palestinians injured by the Israeli army gunfire during the border protests was significantly lower than the overall approval rate, with only three out of 53 applications in August approved (6%), 17 (32%) denied and 33 (62%) delayed. Additionally, 537 patient applications (342 male; 195 female), or 25% of the total, were delayed access to care, receiving no definitive response to their application by the date of their hospital appointment. Of these, 126 applications were for children under the age of 18 and 47 applications were for patients aged 60 years or older. WHO reported that of the 537 delayed patients, a quarter (24%) had appointments for orthopedics, 12% for cancer treatment and 7% for ophthalmology. Almost two thirds (67%) of delayed patients submitted their applications more than 15 days prior to their hospital appointment. Since patients who are seeking medical treatment outside the Gaza Strip need to have at least one companion with them, particularly children and the elderly, out of 2,491 applications to Israel for permits to cross the Erez crossing to accompany patients, 1,301 (52%) patient companion applications were approved, while 256 applications (10%) were denied and 934 (38%) remained pending on the date of the patient’s medical appointment. According to local organization the al-Mezan Center for Human Rights, more than 15 medical patients died in Gaza in 2017 after being denied permits by the Israeli authorities that would have allowed them access to hospitals.